Our guest blogger this week is Jeff Ton, SVP of Corporate Connectivity & Chief Information Officer for Goodwill Industries of Central Indiana, based in Indianapolis. See what other organizations that have gone Google have to say. 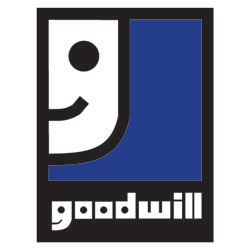 Goodwill Industries’ mission is to give people an opportunity in life that they may not otherwise have, like a job or better education. As one of the larger Goodwill organizations, we at Goodwill Industries of Central Indiana aim to run as efficiently as possible to best serve our 3,000 employees spread across 29 countries and the greater Indiana community. When I joined the company in 2010, we were running Microsoft® Exchange 2003 and we badly needed an upgrade. As a CIO, the last thing I want is to tell the executive staff we have to spend two months and thousands of dollars to upgrade our email system. We chose Google Apps because we wanted a cloud solution that gave us leaner infrastructure, better business capabilities, and security. We saved tens of thousands of dollars, and avoided future costs from server maintenance, upgrade costs and lost time dealing with email problems. Since moving to Google Apps, we’ve changed how we communicate and collaborate with our 1,200 business users. Google Forms and Sheets in Google Drive have been powerful tools for us. Our Corporate Connectivity Committee – a cross-functional group spanning four different business areas – used a Google Form to collect research during a six-month tour of our 70 locations into a Google Sheet. They were able to analyze results and find the best ways to distribute information to employees and make them feel more included the company. This would’ve been a messy process before, compiling 70 different questionnaires. I also use Google Sites for my personal dashboard to collect, maintain, and organize data. I spent about four months trying to piece this together on our old platform, but it never worked. On Google Sites we had it working in about 20 minutes. It updates in real time so my monthly report is a 5-minute task instead of a month-long project. Google+ Hangouts have also transformed the way our teams connect. Our Benefits Committee used Hangouts instead of traveling to attend in-person meetings about a new payroll system and benefits structure. Additionally, our recruiting team uses Hangouts for interviews – again, saving driving time without sacrificing the face-to-face relationships with candidates. I personally use Hangouts for my weekly meetings with my staff when I am working from home. Using video makes the meetings much more cohesive, and we can work simultaneously in shared Docs so we’re all on the same page. As a CIO, the best part about moving to Google Apps is seeing the adoption happen organically – the first time a Google Doc was shared with me, it came from outside of IT. Google Apps has helped us immensely, allowing us to take our focus off of internal processes and problems and put it instead on those who really need it.